This treat is made even sweeter with a glaze made of powdered sugar and elder flower liquor. The method of rolling the dough into a log makes it easy to slice-and-bake. If you want to get fancy, press each disc of dough with a cookie stamp before baking. Cream together the butter and sugar in a large mixing bowl. Add the elder flower liquor and lemon zest; stir well to combine. Gradually stir in the flour until a soft dough forms. Turn out dough between two sheets of plastic wrap and roll into a log. Place in the refrigerator for one hour. Preheat oven to 350’F. Slice the cookie dough into ½-inch discs. 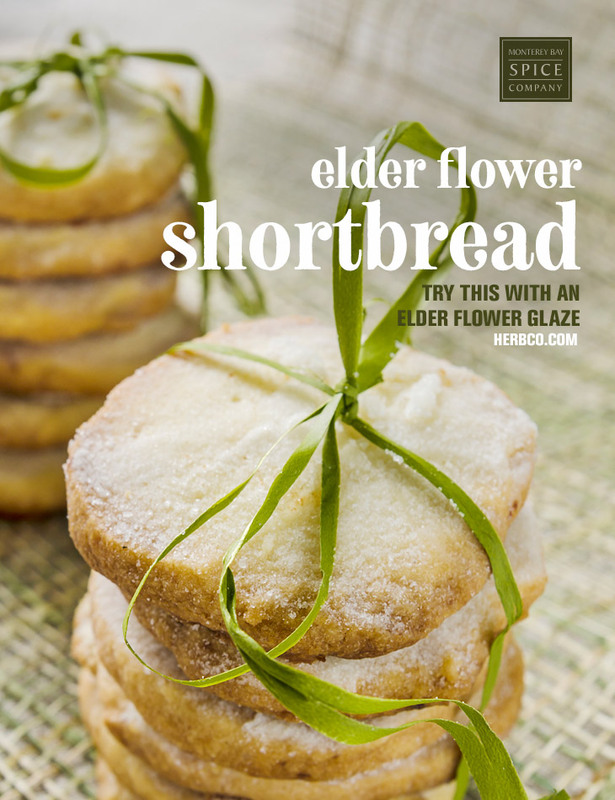 Brush each cookie with a wash of elder flower liquor and sprinkle with additional powdered sugar. Bake 15-18 minutes, or until lightly browned.